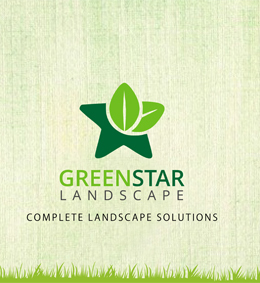 At Greenstar Landscape, we utilize the right resources for the right project. Thus, we offer the best of services in the field of landscape management and development. In order to provide the best, all equipments are duly tested by our experts. We guide our clients by explaining why and how which landscape will suit their property and its ambience the best. All research and products are thoroughly assessed and approved by our expert team. Providing attractive designs and wide-ranging themes for each landscape is our forte. Our landscape management team offers accurate products, designs and services that suit different locations of your landscape to make it look refreshing. They first observe the location, analyze its characteristics and only then suggest the best management tips. To add special features to your landscape, we build pools, pathways, benches and parkways along with side walls and garden area landscape, utilizing each and every section of the location. All these areas can be easily maintained with our persistent aid, which is affordable and effectively alterable according to any budget. The Greenstar professional workers possess experience and expertise in their respective fields and hence, every inch of the landscape is passed through a strict screening and then sent to be approved by the clients. Our landscape consultants play a major role in designing, maintaining and developing these landscapes. It is thus that we are able to maintain a healthy relationship with our clients and turned ourselves into one of the most successful landscape management firms.